Pressitt allows you to create your own social media news release (SMNR) – also known as a social media press release (SMPR) or social media release (SMR), and publish it to an online community of journalists, the blogosphere and the general public. Many journalists use the Internet as their primary research source when compiling a story. Pressitt SMNRs are designed with journalists and bloggers in mind. A Pressitt SMNR encapsulates all the information, multimedia and images needed to prepare a story, while offering contact details for more information, all without the usual PR fluff. 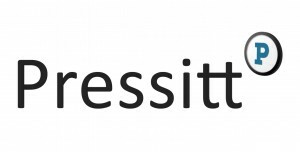 First of all, Pressitt is completely free to use. Secondly Pressitt is a true social media news release because it isn’t spammed to a list of journalists. Instead it utilises sharing functionality and search marketing methodologies to make sure the news is visible and easily shareable. You can also edit and comment on Pressitt SMNRs, which means the platform has the potential to turn your news into a conversation, not just a broadcast message.